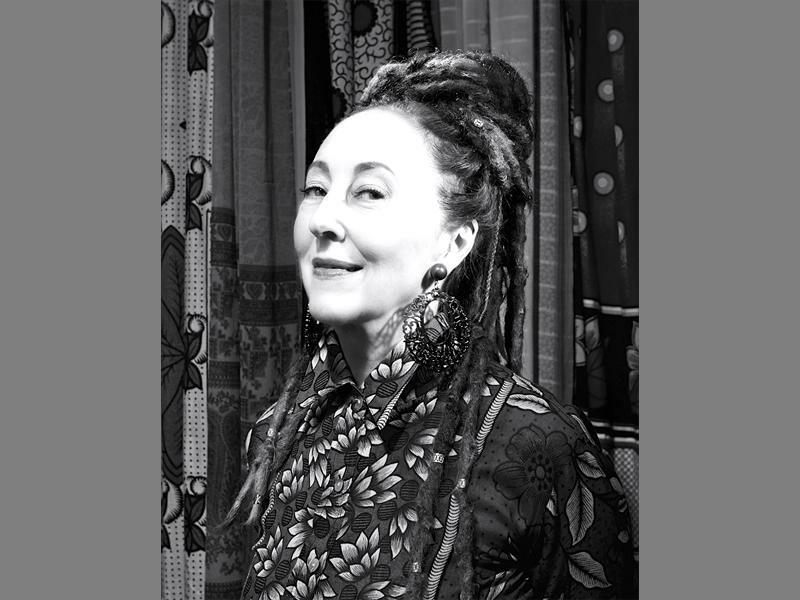 Listen to the interview on 702 talk radio here. 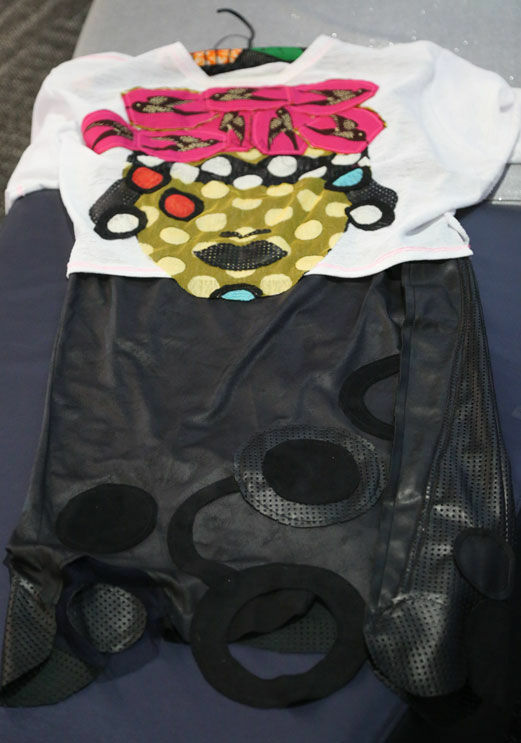 Read the article on the Sandton Chronicle here. 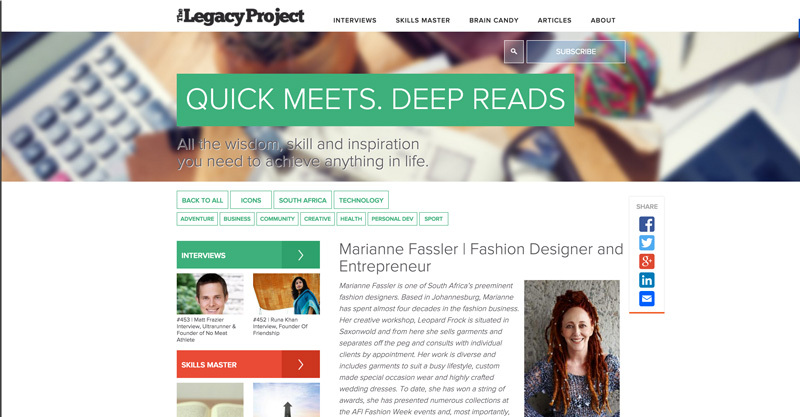 Read the interview on The Legacy Project, here. 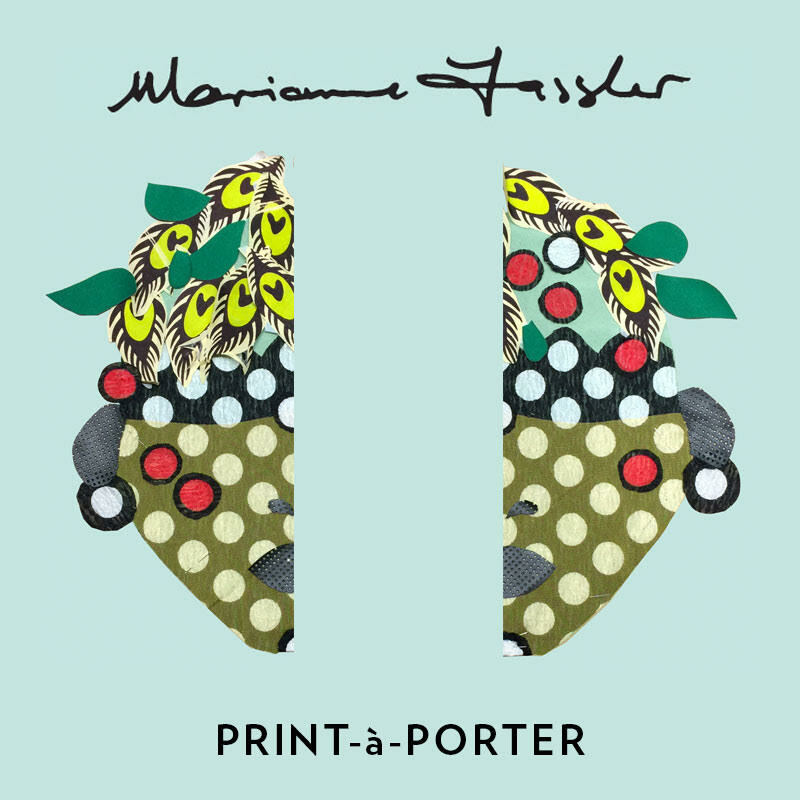 Marianne Fassler and Leopardfrock creative director Lezanne Viviers talk about their PRINT-a-PORTER collection, Paris 2015 here on Soundcloud. 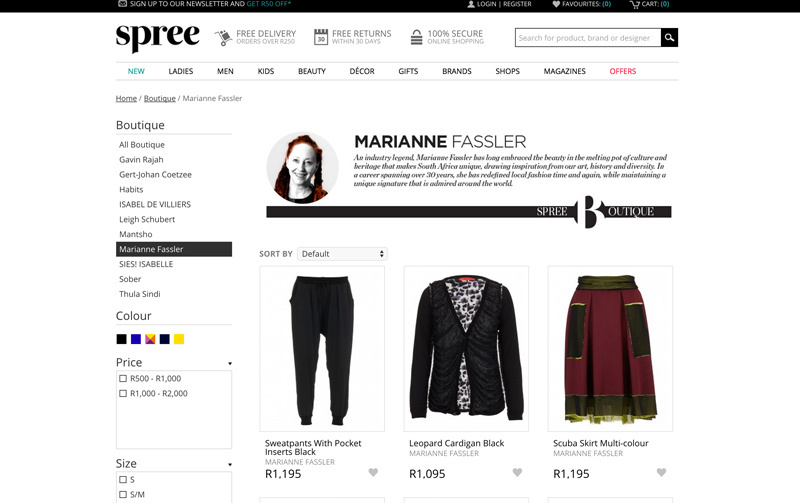 Shop Marianne Fassler on Spree here.